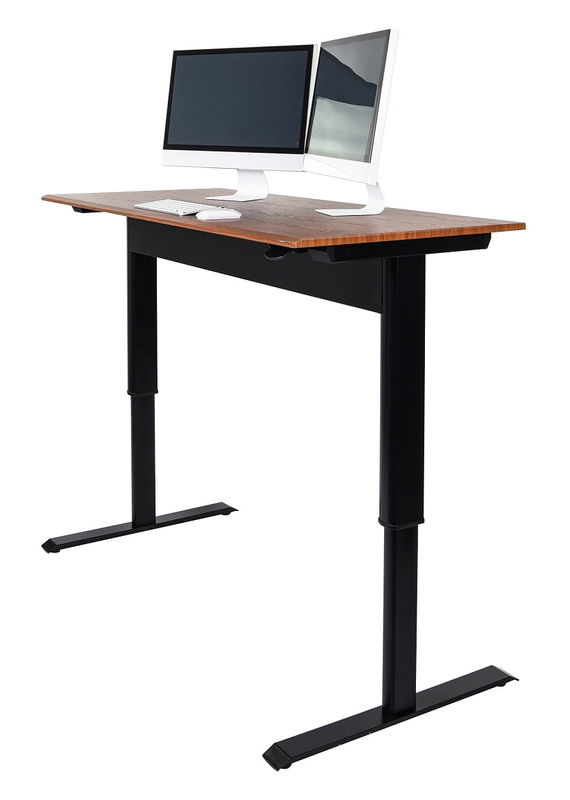 Seamlessly move between sit and stand through the work day with the 48″ Pneumatic Adjustable Height Standing Desk. Its lever-activated pneumatic air cylinder lets you easily alter the desk’s height anywhere between 27.5″ and 44.5″, smoothly lifting your monitors, computer, and other office accessories. Constructed with two sturdy steel legs, reinforced inner legs, and a high-quality teak desktop, this desk is built to last. With no power outlets required for use, the desk can be flexibly placed within corporate or home offices. The 48″ Pneumatic Adjustable Height Standing Desk ships in one box, quickly delivering health and ergonomics to any environment.